When people think of Hawaii they think of palm trees. Swaying in the breeze, providing shade on a hot tropical day, or used to hang a hammock from, palm trees are everywhere in Hawaii. Palm trees are also big business, and a recent price reduction on the bulk sale of palm and bamboo trees is good news for landscapers and developers looking to expand their businesses. An excellent and uncommon opportunity to purchase palm and bamboo trees in bulk just became even more appealing with a recent price reduction. I’ve written previously about the rare agricultural sale of field stock palms and bamboo for sale along the Hamakua Coast on Hawaii Island. Sales such as this in which the plants, not the land, are sold are quite popular on the U.S. mainland. In this instance, it is thousands of palm and bamboo trees ranging from seedlings to mature trees – nearly 60 varieties in all – that are available. A plant stock sale of this magnitude and variety doesn’t come along often in Hawaii. In addition, the seller is an expert nurseryman who has a great deal of experience in these types of sales. 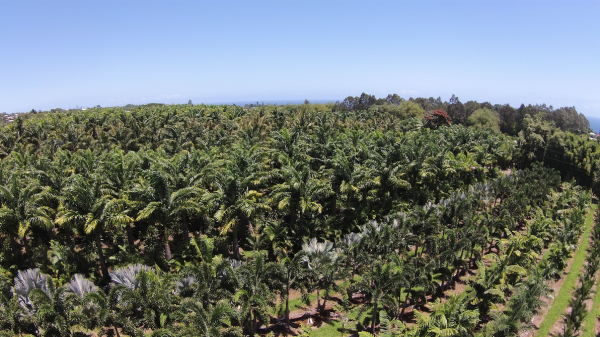 A rare opportunity for developers and landscapers, thousands of palm trees are for sale on Hawaii Island. Careful planning goes into growing and harvesting trees. Developers and nurserymen looking to expand their business will appreciate the strategic design of this 10-acre tree farm. The trees have been purposely planted in increments, providing the buyer with years of use in a variety of settings. They were also planted with easy removal in mind, thereby maximizing profit margins. And the nursery is a short drive from Hilo with its deep harbor port, providing easy access to inter-island transportation and shipping. 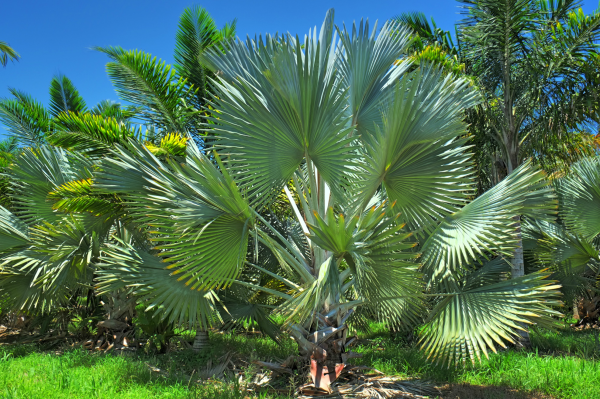 Included in the sale are several highly prized and sought-after varieties of palm trees, including silver bismarkia and sealing wax red palm trees, known as lipstick palms. 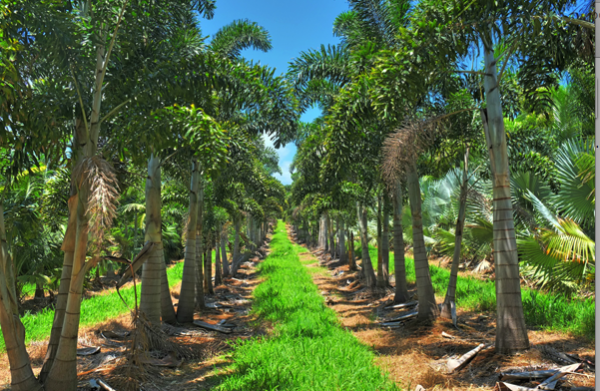 These palms have a high market value and are sought after for use in upscale communities.